As his successor, the Board of Directors has elected John G. Morikis, president and chief executive officer, to assume the additional role of chairman following Connor’s departure, the announcement said. The transition will be effective Jan. 1, 2017. 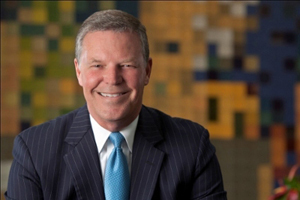 Christopher M. Connor will step down as Sherwin-Williams' executive chairman of the board as of Dec. 31. Connor plans to remain a member of Sherwin-Williams’ Board until the end of his current term at the 2017 Annual Meeting of Shareholders in April 2017. Connor joined Sherwin-Williams in 1983 as director of advertising for the company’s Paint Stores Group, and served as chairman and CEO for 16 years. During that time, the company grew as a global leader in the paint and coatings industry, posting more than $11 billion in annual sales and operating more than 4,000 company-owned stores. “Chris led Sherwin-Williams through a period of unprecedented growth and prosperity, and our shareholders benefitted greatly from his leadership and vision,” said John M. Stropki, Sherwin-Williams’ lead director. Morikis succeeded Connor in the role of president and CEO Jan. 1, 2016. 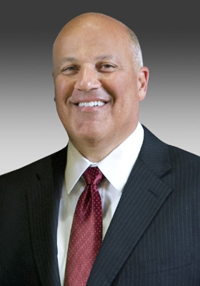 Morikis had served as the coating giant’s chief operating officer for nine years and held many other key leadership positions during his 32 years with the company. The company's Board of Directors has elected John G. Morikis, president and chief executive officer, to assume the additional role of chairman following Connor’s departure. Morikis holds bachelor’s degrees in business administration and psychology from Saint Joseph’s College in Rensselear, IN, and a master’s degree in business from National Louis University in Evanston, IL. Sherwin-Williams, founded in 1866, manufactures, distributes and sells coatings and related products to professional, industrial, commercial and retail customers around the world.